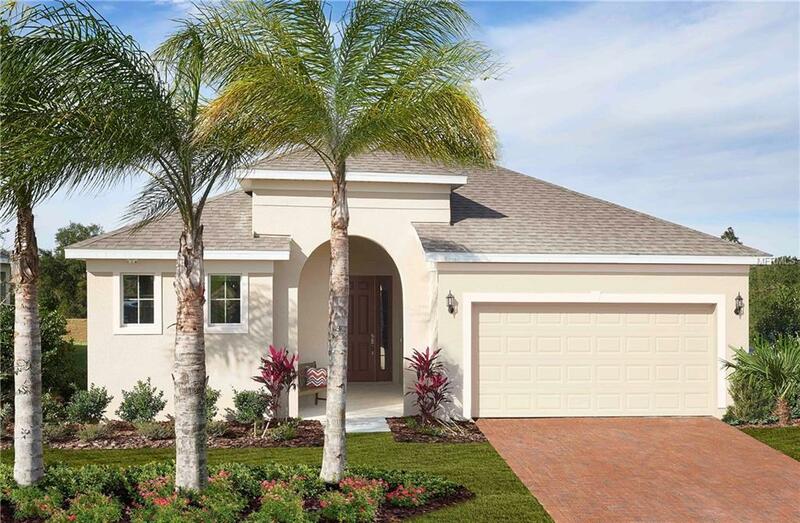 Beautiful Walton Model Home in Desired Carlisle Grand Community just a few miles south of I - 4 off of US 27. This 3 Bed 2 Bath with a Flex Room, offers an open floor plan with lots of extras to include Built in Drop Zone with shoe shelves, bench, wall hooks and USB Outlet right off the Garage. Huge Inside Laundry Room. Great Kitchen with Lots of Counter and Cabinet space. The Kitchen offers a walk in pantry and a beautiful Island. A large Master Bedroom with very spacious Closet and the Master Bathroom offers Dual Sinks, Shower and Private Commode area. Split Plan with additional Bedrooms with guest bathroom. Great view to Dry Retention and Conservation with Screened Patio. 2 Car Garage with Automatic Garage Door Opener and fully landscaped front yard to included shrubbery, tree and St. Augustine Grass, Front and Rear Irrigation Brick Paver Driveway and Fantastic Elevation. Directly across from Community Pool.